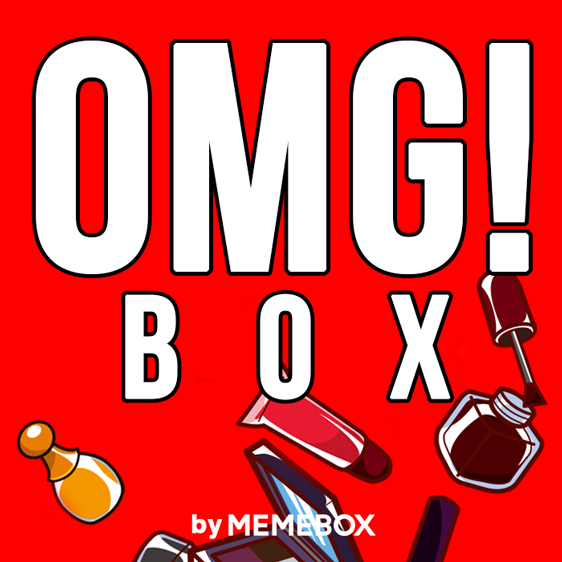 The MEMEBOX Special #16 OMG Box ($29.00) offers an interesting assortment of Korean beauty products that are both unusual and intriguing. I have to confess that some of the products initially confounded me because they were so novel and out-of-the-ordinary, but that was precisely the point of the OMG Box! 1) Skinaz Premium Vitablet ($46.00 if purchased separately): You might wonder — what is a Vitablet? Vitablet comes from combining ‘vitamin’ with ‘tablet’ and refers to SKINAZ’s unique tablet-type of vitamin cleanser rich in vitamin C and aroma oil. What’s so special about this is that it even takes care of skincare while cleansing with its skin beneficial formula containing more than 300g of vitamin C which is equivalent to 4.3 whole lemons. It’ll be like having done a nourishing vitamin pack! Feed your skin a multi-vitamin everyday with these Premium Vitalets! Comprised of 8 fruits – pineapples, oranges, apples, peaches, raspberries, grapes, and strawberries – these facial vitamins will deliver essentials minerals and vitamins deep into the pores, calm and soothe irritated and sensitive skin, deliver intense hydration, and provide excellent anti-inflammatory benefits to the skin. Use it when you wash your face, use it as a vitamin enriched facial mist, or use it as a vitamin bath, these multifunctional vitamins tablets will surely boost your beauty all around. You simply drop 1 Vitablet into a bowl of water and rinse your face with it, or you can use it to spritz your face. Therefore it is a cleanser and a facial spray that is antioxidant rich. 2) Pure Smile 3 Step Bust Pack (1 Set): This is a quick 3 step process for taking care of your bust, especially recommended to be used before wearing a bikini! The gommage, the hydro-gel pack, and the cream are enriched with various nutritious ingredients for maintaining soft and well-moisturized skin. Since I haven't try this I can't comment on how well it works or whether or not the results differ from simply exfoliating and moisturizing the skin, but it qualifies as an out-of-the-ordinary product. 3) Elizzavecca Milky Piggy Carbonated Bubble Clay Mask ($38.00 if purchased separately): This is the ultimate one-step facial mask with both pore care and cleansing functions. Not only is it packed with green tea extracts, pomegranate extracts, and charcoal extracts, this Clay Mask contains carbonated water which starts to bubble up the very moment it’s applied on your face and deeply penetrates into your pores for getting all the gunk out without having to harden up like average clay masks. This is an effervescent clay mask that refines pores and draws out impurities, and the bubbling carbonated water tickles while it works its magic. 4) SKINAZ The Kissable 24H Lip Tattoo ($17.00 if purchased separately): SKINAZ takes lip makeup to a whole new level with its Lip Tattoo! This’ll be the ultimate no-makeup makeup since it actually works like an impermanent color tattoo on your lips and does not smudge or gets erased for 24 hours long. Plus, it comes in five lusciously radiant colors. Apply a thick coat Lip Tattoo to your lips and wait 10-15 minutes, or until it completely dries. Then simply peel it off of your lips and you will find beautifully colored lips. They suggest applying a lip gloss or a lip balm on top to get the full effect of the lip stain. 5) Hope Girl Night Diva Gloss in Pink Candy 04 ($22.00 if purchased separately): This is a lip gloss with two different shades gradated together in a single product! Despite it being a gloss, the Night Diva Gloss is a non-sticky, smoothly spreading, and highly moist all in one. Also, it carries a built-in LED light and a mirror, so you don’t have to take out your hand mirror or visit the ladies room for a quick touch-up anymore! Pink Candy is a very nice baby pink lip gloss, and the built-in LED light and mirror are fun additions. 6) Ladyskin Aqua Exfoliator for Body ($14.00 if purchased separately): In Korea, going down to a local public bath for a nice scrub is a very common and popular thing. You can get a quick glimpse into the world of ‘body scrubs/exfoliators’ with this gentle exfoliator from Ladyskin! Enriched with cellulose components from papaya and pineapple extracts, this Aqua Exfoliator for Body removes all bodily dead skill cells and unnecessary impurities without having to scrub down hard enough to stimulate your sensitive skin. All you need to do is spray this product all over your body and softly roll away the dead skin cells, for cleaner, fresher, and smoother body skin! After taking a shower, towel dry your skin and then spray the Aqua Exfoliator wherever you want to remove dead skin, and then gently massage it until the dead skin cells roll off into your hands. I would suggest either jumping back in the shower to rinse off, or better yet-- doing it before getting into the shower. Memebox is the #1 Korean beauty online retailer in the world. Many of our products are sourced, packaged, and shipped, directly from Korea straight to your doorstep. In addition to our boxes, our shop carries full-sized products featured in previous Memeboxes. You'll discover buzz-worthy K-Beauty skincare staples, makeup must-haves, hair and body essentials, and other K-beauty breakthroughs at irresistible promotional offers. Whether you're just starting out in K-beauty or simply K-beauty addicted, you'll find that our shop has got something for everyone! We also have a range of USA Exclusives, which include products most-loved by our USA customers - these ship directly from our USA warehouse. Overall Assessment: MEMEBOX offers an affordable way to discover so many wonderful full size Korean beauty products delivered right to your doorstep. Furthermore, their customer service is fantastic, and their delivery is lightening fast! These are for sure some out of the ordinary products, but they also seem a bit gimmicky. That's why I haven't ordered any of the Memeboxes yet - I love Korean cosmetics and skincare, but I'm not so much into weird gimmicks! Hi Monika, No question!! I know what you mean about many of them seeming gimmicky. The last box that I received of theirs was far less so than this one, but this one seems to be intentionally more gimmicky!